There are 5 posts in this thread, and it has been viewed 2724 times. RAZION. What do you think of it? Another month, another game to cover! This March/April it's Homebrew time again, so let's talk RAZION. The history of RAZION actually goes way back to 2009 when René Hellwig, who was at the same part of NG:DEV from Germany, took part in making DUX under the HUCAST developing team. 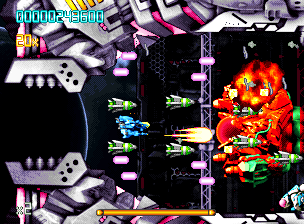 Dux was a vertical SHMUP for the Sega Dreamcast that made much use of many pre-rendered sprites and in-game assets. For being a homebrew game DUX sold reasonably well so it spawned several improved versions such as Redux: Dark Matters. 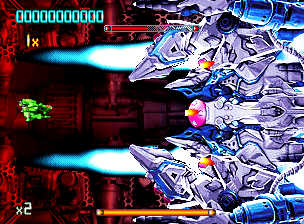 RAZION on the other hand was released in 2014 and officially only involved NG:DEV as developing team, but interestingly many pre-rendered assets of DUX were reused in RAZION, therefore making it a de facto spiritual successor or spin-off of the series. The terrific soundtrack was made by German indie composer Andre Neumann, who also works under the name Ntrax or Awesome-A. He actually also worked on the soudtrack of DUX and its spin-offs. 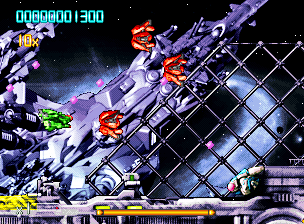 AZION / ラジオン is a horizontal 16 bit CGI shooting game for the Neo GEO AES and MVS systesm. The score system is based on growing gold cubes and using the beam. It has 2 game modes (NOVICE/NORMAL). Novice mode is significantly easier and will allow more people to enjoy the great graphics and music rather than focusing on challenge. Normal mode on the other hand is more of "maniac" experience. The game has 6 stages with varied settings, 6 huge end bosses, 7 sub bosses and 2 before mentioned game modes. Now this is a game difficult to get your hands on... Do you own the hair-raisingly expensive AES or MVS cart? Then how about a High Score Challenge? If you're interested so please send a PM to Merlin or Priest. I really wanted Razion but prices got too high on Ebay for me and I gave up looking. However I recently read on NGDev Teams facebook page (in the comments from them) they are most likely going to do an AES reprint next year (2019). So looking forward to that. I think it looks great. very professionally made. 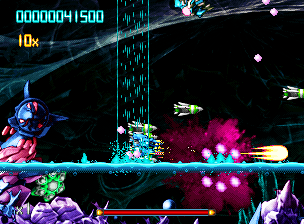 Some people have complained about the gameplay mechanics not being to their taste though : A big slow moving ship with big missiles and an energy blast (mopping up bullets which would otherwise be hard to avoid) . 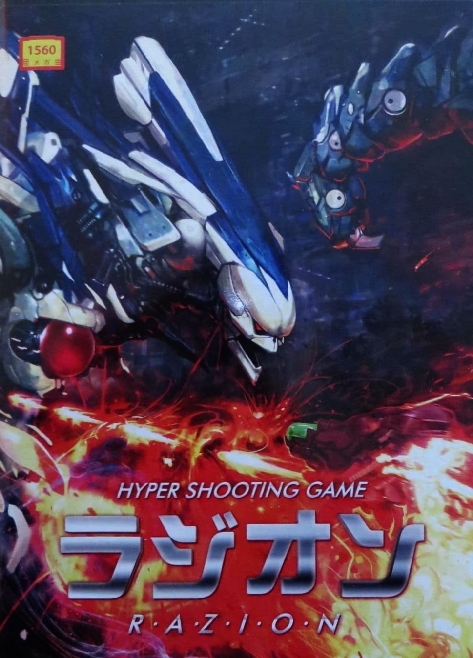 Others say its the game DUX should have been so will be interesting to finally play it. I've never played it. I'll add it to the list.